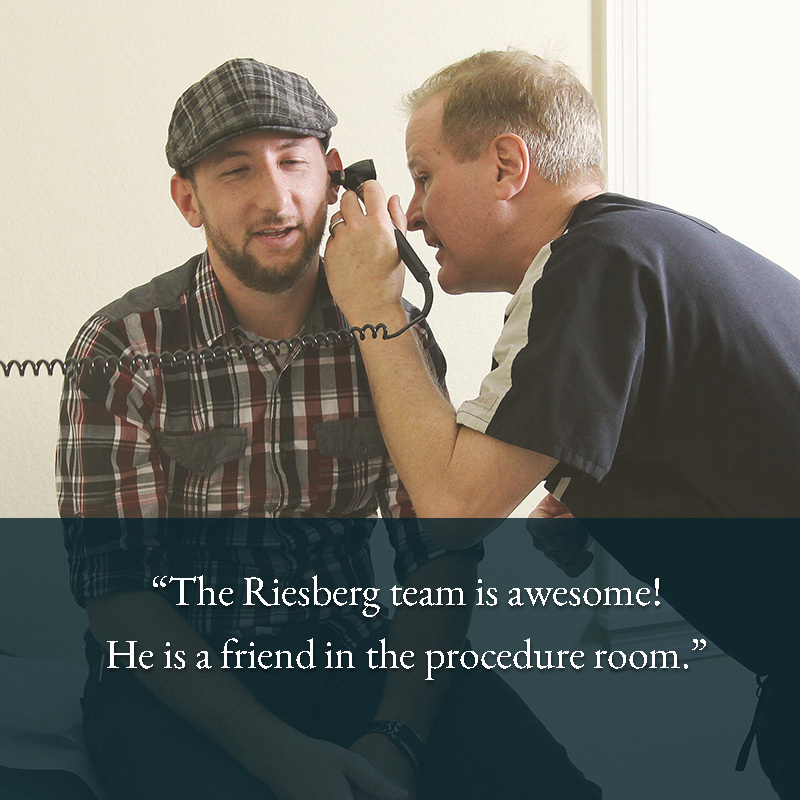 At the Riesberg Hearing Center, we are committed to providing the highest quality of hearing healthcare with comfort, compassion, and real-life solutions. Great pride is taken to ensure you hear your best and we realize the importance of hearing and communication to your well-being and quality of life. Your hearing is like any other important health-related issue and it can be confusing knowing where to turn for a highly skilled and friendly doctor. Passionate about hearing and committed to making a difference, our clinic is equipped with state of the art diagnostic equipment and utilizes the latest hearing aid technology to provide our patients with the best hearing solution. Our hearing doctor often schedules same-day hearing tests and hearing aid consultations — for your convenience. If you or someone you love is experiencing hearing loss, vertigo, tinnitus, or ear pain, we welcome you to call us to schedule an appointment. Experiencing hearing loss? Looking for a friendly hearing doctor who will make you feel comfortable and put your mind at ease? 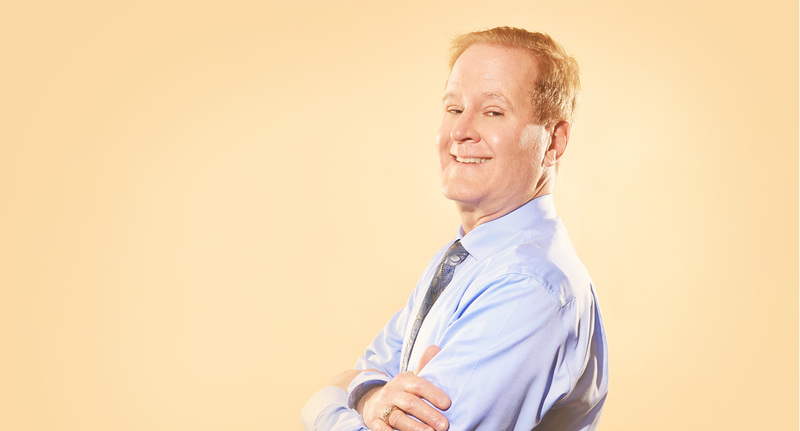 Meet Dr. Michael Riesberg at Riesberg Institute — as a highly skilled ENT doctor, Dr. Riesberg is dedicated to find the right solution for you! Ready to Restore Your Hearing? How’s Your Hearing? Ask the Audiologist! Facts About Hearing Loss: It is the 3rd Most Common Health Problem in the US after Heart Disease and Arthritis, Half of the individuals with hearing loss are younger than age 65, A 12-year study conducted by the neurology department at Johns Hopkins School of Medicine found that untreated hearing loss increased the risk for dementia, 1 in 5 people have hearing loss, but 80% do nothing about it. Hearing health is directly related to overall health and well-being, When you are able to hear and engage with the world around you, you live a happier and healthier life. 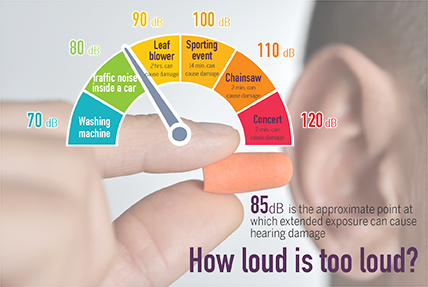 Facts About Noise Induced Hearing Loss: Noise Exposure is the Leading Cause of Hearing Loss, This is the only preventable type of hearing loss, Approximately 1 in 8 children ages 6-19 have noise induced hearing loss. We also offer custom fit hearing protection! At least 70% of individuals live with untreated hearing loss daily. 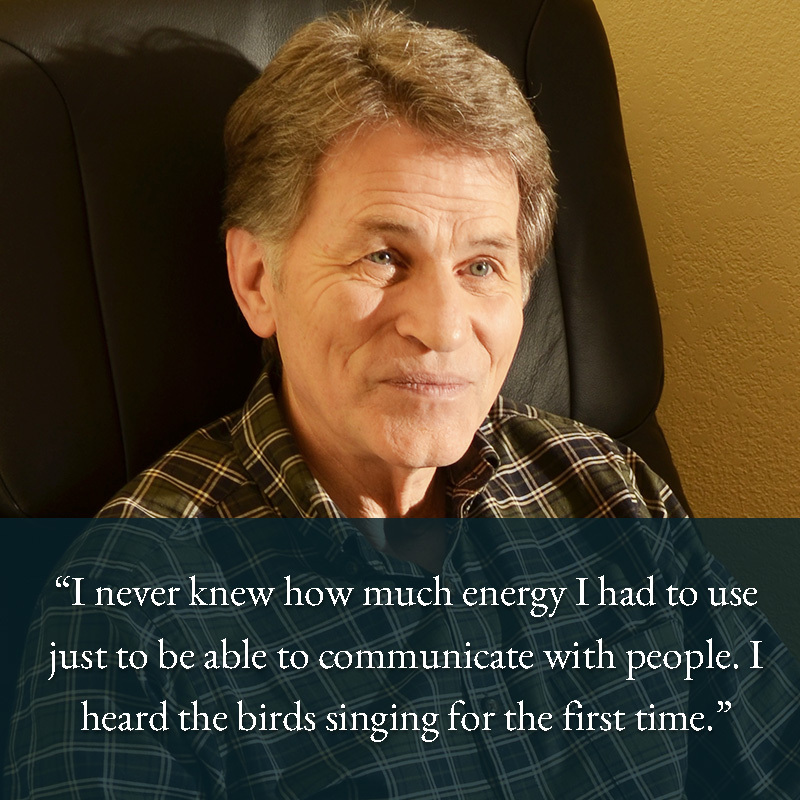 Even a mild hearing loss can greatly affect one’s ability to communicate effectively. This can include difficulty understanding in conversations with loved ones, social gatherings, and even work settings. The consequences of untreated hearing loss are vast and can have many detrimental effects on one’s health such depression, social isolation, and cognitive decline. Dr. Riesberg has the ablity to diagnose many of the following causes of hearing loss in the convenience of our clinic. Conductive hearing loss can frequently be treated with medication or surgery. A sensorineural hearing loss occurs when there is damage to the receptor hair cells in the cochlea or inner ear. When these cells are healthy, they increase the loudness of sound, contribute to the clarity of speech, allow for a separation of speech and noise, and help prevent loud sounds from becoming uncomfortable. A sensorineural hearing loss results in a loss of loudness, difficulty with speech clarity, trouble separating speech from background noise, and increased sensitivity to loud noises. Sensorineural hearing loss is usually irreversible and is not treatable with surgery or medication, but can be significantly improved with hearing aids. Your speedy recovery, comfort, and satisfaction are our top priority at Riesberg Institute. We strive to be long-term partners in your health and vitality. Below you can hear from a few of our satisfied patients from around the community. Hearing aids come in many different levels of technology and styles. We offer products from several top manufacturers to provide the most options in technology to meet our patients’ needs. Trust us; these are not your grandfather’s hearing aids! Many new advances in technology include noise reduction, speech enhancement, automatic directionality, and discreet designs. Some hearing aids can now be turned into wireless earphones for your cell phone, home phone, and television with just a touch of a button! 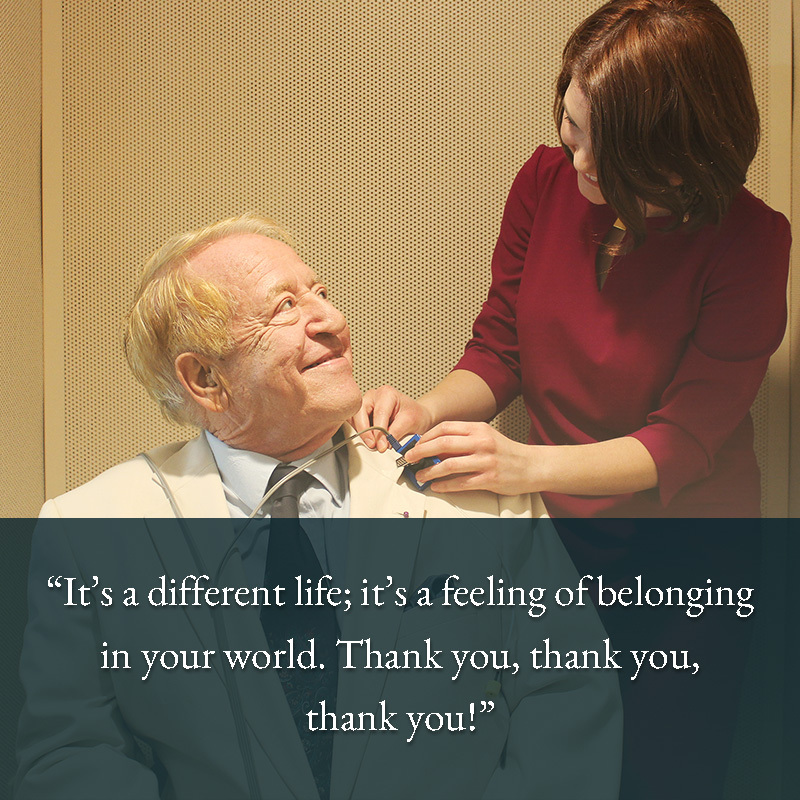 For more information on which hearing aids will fit your needs, please feel free to schedule your heading aid evaluation with Dr. Riesberg. Call us at (850) 476-0700. SCHEDULE YOUR HEARING AID EVALUATION. Call to improve your hearing today! (850) 476-0700. The comprehensive audiological examination includes tests of the outer, middle, and inner ear. Testing will evaluate these different systems to determine if the structures of the ear are working appropriately, if hearing loss is present, what might be the cause of symptoms, and if medical intervention is necessary. This testing may be ordered for reasons other than hearing loss, such as for pressure in the ear(s), sounds (ringing, clicking, roaring) in the ear(s), dizziness, and ear pain. Testing is simple and fast. 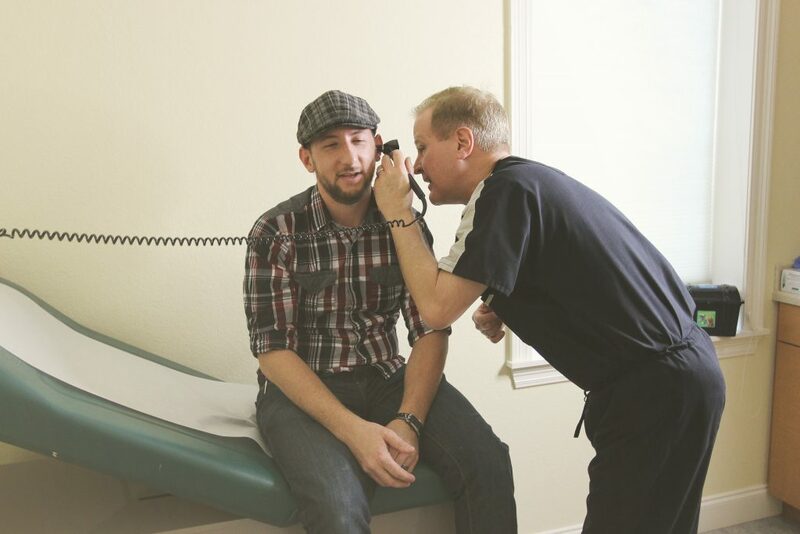 The results of your hearing test are then used to determine the best path forward. A hearing aid evaluation appointment is scheduled with Dr. Michael Riesberg to provide the patient with information regarding which hearing aids will best address their hearing loss, desires, lifestyle needs, and financial situation. Dizziness/vertigo is among one of the top three reasons many adults visit the doctor. Learn more about these conditions and some of the leading causes by contacting Dr. Michael Riesberg Today. Ready to Restore Your Hearing? Request Riesberg.